1. Preheat oven to 350 degrees Fahrenheit. Add cupcake liners to a standard 12 cup muffin tin. 2.In a large bowl, mash bananas. Add butter, yogurt, eggs and vanilla extract. Mix together until evenly combined. Add sugars, baking powder and soda. Mix together until evenly combined. Slowly add flours and mixed until evenly combined. 3. Spoon into muffin tins till about 3/4 full. Add about 1/2 TSP of peanut butter to each cupcake. Using a sharp knife or skewer, gently swirl peanut butter in. Place in oven and cook until a toothpick inserted comes out clean, about 25 minutes. 4. Let cool completely. 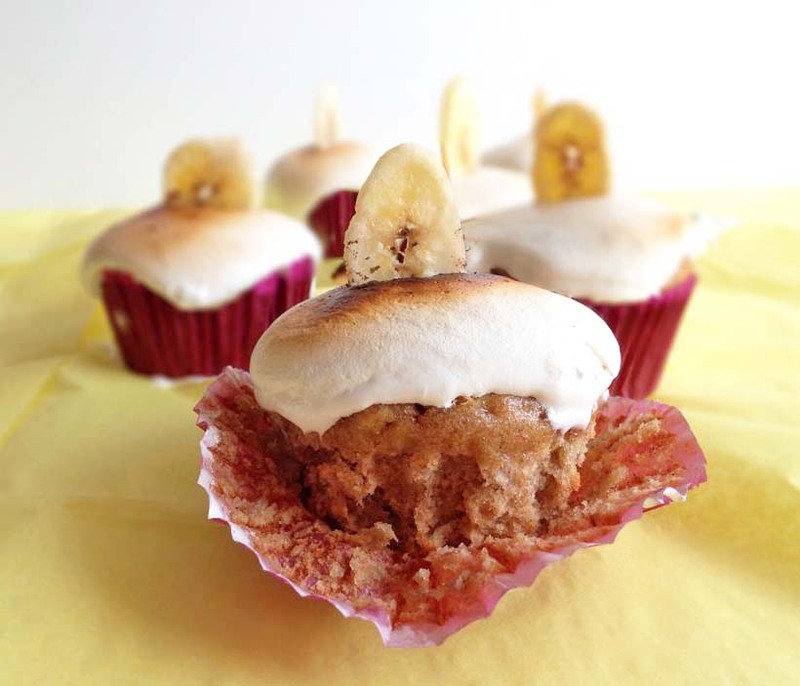 Preheat broiler, add a small dollop of marshmallow fluff onto each cupcake. Place cupcakes on a cookie sheet, and place on rack as close to broiler as possible. Cook until marshmallow top is browned, about 2-3 minutes. Remove and take off cookie sheet to cool. 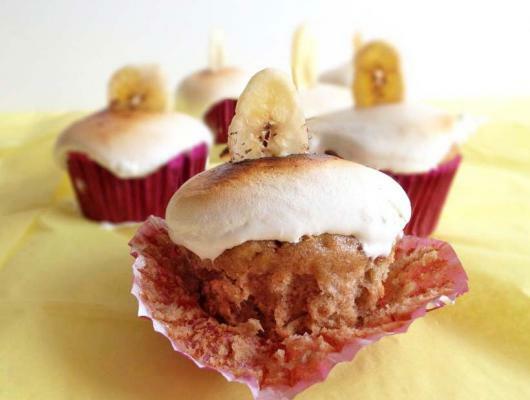 Let cool and then stick a banana chip vertically in each cupcake.